It's been a long, busy year here for advocacy at the Planetary Society. In February we saw the release of President Obama's 2013 budget request that cut NASA's planetary science division by 21%. NASA pulled out of the ExoMars mission with the European Space Agency and has since struggled to find funding for any of the high-priority missions spelled out by the planetary science community in the Decadal survey. This is the most difficult funding environment for planetary exploration since the early 1980s. Please consider giving a donation to our Advocacy efforts. The more financial resources we have, the better we can represent you on Capitol Hill. The Society has been deeply involved in the struggle to restore funding for NASA's unique program. We've made multiple visits to Washington, D.C., met with key people in the legislative process, and worked closely with other organizations, like the AAS's Division for Planetary Science and the American Geophysical Union, to provide a consistent message to politicians. We've also initiated multiple letter-writing campaigns to Congress, the White House, and the Office of Management and Budget. We depended on the tens of thousands of members and supporters to help us with these campaigns, and we have not been disappointed. Thank you to everyone who took the time to do this both here in the U.S. and abroad. We'll need you again. Congress reacted well and restored some of the money in both the Senate and House versions of the budget. Unfortunately, they never reconciled these budgets and passed a Continuing Resolution funding the government at 2012 levels for six months. This will be a major item we'll follow and continue to need your help with during 2013. We're not letting up. Neither should you. Keep following this blog and look for email notices about major events in 2013. We depend on you to help get this message out there and to Save Our Science. First, a New Mars Rover! On December 4th, NASA surprised just about everybody by announcing that it would build a new Mars rover to launch in 2020. NASA found a way to create a lower-cost mission that will hopefully be the first step in a Mars sample return campaign. This was an unambiguous success for us. The White House and NASA heeded calls for continued Mars exploration. But we're not done. Despite this new rover mission, the threats to the planetary exploration budget are still the same. The program stands to lose $309 million next year. Next year, we'll continue to push Congress to follow through with its promise to restore funding in 2013. They have yet to pass a budget for this year. But when they do, it's likely that we'll see at least a partial reversal of cuts to the planetary program. We will be following this closely. The 2014 budget proposal will also be important. It won't be until February, when the budget is publicly released, that we learn if the White House has changed its mind about funding planetary exploration. If not, we will go back to Congress and tell them to restore funding in the 2014 budget as well. We're going to be a stronger presence in Washington, D.C., next year. I'm planning multiple trips to meet with key people in Congress in order to push our message. 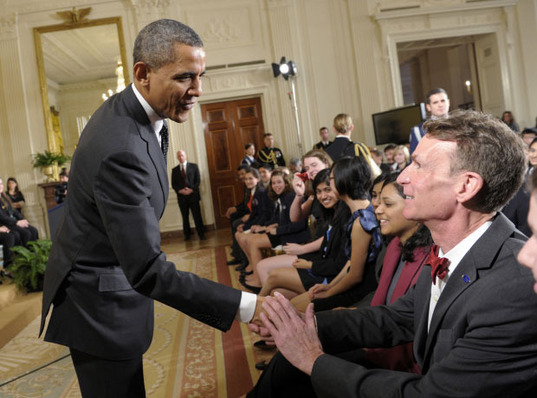 Our CEO Bill Nye will make multiple visits as well, and we'll continue to engage our lobbyist as much as we can. Our message is all the stronger when you keep engaged and write or call your Congressional representatives to tell them how important NASA's planetary program is to you. We'll let you know the best times to do this next year. Once again, thank you to everyone who has helped get this message out, to those who have written and to those who have donated to our Advocacy efforts. We cannot do this alone. Let me see if this summarizes the TPS position. The TPS will continue to lobby the politicians to restore the cuts to the planetary exploration program for '13 and '14. However, if that doesn't happen you are perfectly happy with the current allocation of money to the various projects. Which is : Total ~$5 B for four separate Mars missions. Leaving the following targets to compete for Discovery (max $425 M) and New Frontiers (max $700 M) missions (in an environment of $309 M/yr cuts) with no guarantee that some of this too could be allocated to Mars (as it happened to TiMe). The left out targets are : Europa Titan Enceladus Venus Uranus/Neptune Maybe "perfectly happy" are the wrong words, but happy enough not to question NASA allocation. I this a fair summary of the TPS' position ? I'm saying it because your plan A is to lobby the politicians but conspicuously missing is a plan B if that does not work. Any intention to lobby for a re-allocation in a different funding environment ? The other thing that concerns me about MSL2 is the effect on future space cooperation with ESA. When NASA announced its withdrawal from ESA's ExoMars rover, it put their project in serious jeopardy. However, in the current environment, something can be expected to be cut. However, what has ESA to think of NASA, when, after severely disrupting their Mars rover project, they go on and they announce their own rover ? Yes, I know that ESA has announced a collaboration with Russia but, given their lack of success lately, it looks like a very desperate move. Casey Dreier: "Congress reacted well and restored some of the money in both the Senate and House versions of the budget." Um, that's not necessarily good news. For a start that word "some" is highly vague. A little more info of a more concrete kind would be nice. What exactly did each chamber restore? Or at least what proportion(s) of the cuts are we talking about? For example, restoring money to a handful of low-cost programs but leaving the more expensive items still in the lurch would not be much to celebrate about. 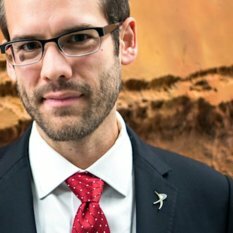 Casey Dreier: "NASA found a way to create a lower-cost mission that will hopefully be the first step in a Mars sample return campaign. Given what you yourself reported in the Society's most recent Hangout, the Society would do well not to do any active MSR campaigning. If the 2020 rover just so happens to end up with a sample caching facility, great, but actively campaigning for that rover to be part of an MSR mission has too much potential to backfire. 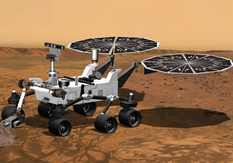 For one thing having that rover be part of an MSR mission would more or less require the Administration to formally commit to the other two legs of the mission, even if not necessarily to funding them any time soon. The reason is obvious. The entire point of an MSR mission is to return samples from Mars to the Earth If no samples ever return then no matter what other great Mars science the rover might have achieved the primary objective will have not been achieved, leaving the rover and its unreturned samples an orphaned relic of a failed mission. In that context, I note that MSR missions have the potential for a limited shelf life. The Decadal Survey claimed that it would not matter if two of three decades elapsed between the first leg and the last, but that is arguably not necessarily true. The reason is this: once American HUMAN missions to Mars start appearing on Administration budget requests--assuming, of course, they ever do!--the temptation will be there for Administrations to save money for those by cancelling those NASA programs deemed superfluous--just as the Shuttle got canned to help fund Constellation. In the case of human missions to Mars, an obvious candidate for such canning would be any unsent legs of a robotic MSR mission. That being the case, then all three legs of an MSR MUST be either completed or beyond the point where they could be cancelled BEFORE American human missions to Mars appear on the horizon. This will be a particular problem if (as some seem to be hoping) American manned missions to Mars take place at some point during the 2030s. If that does happen it would mean that at least two of the three parts of an MSR will need to be completed before the end of the 2020s to allow room for the third to be set in motion in time. At this stage that would seem to be an impossible timetable for an MSR to meet, especially for those hoping to have the MSR launches separated by at least one non-Mars flagship mission. More to the point here, it would also be a potential argument that could be wielded by a reluctant Administration against funding an MSR at all. A better approach (just MHO) for the Society to take would be to encourage the Administration to fund development of the technology required for the second and third legs of an MSR. Not only would it be less costly under the present budge climate, if NASA could get that technology up and going, it would remove one of the arguments against sending an MSR. @Enzo: I wouldn't say that we're perfectly happy with the current allocations, either,but who is? Everyone has their own preferences. We think that the scientific community and the public are well-served if NASA follows the Decadal recommendations, and that's what we'll keep pushing for. We consider having a consistent and clear message from us and others in the community when speaking to Congress to serve the goals of planetary exploration more effectively, too. As for ESA and the second rover, timing really seemed to come into play. Peak funding for this mission would occur around 2015/2016, which is when Mars funding reaches its ebb in the 2013 budget. Funding increases in 2016/2017, which will support a 2020 mission. The Europeans couldn't (and probably shouldn't have tried) to wait for funding to come trickling back and delay their launches. An interesting thing to note is that during this interim time funding increases to handle the 2016 Discovery and New Frontiers missions (InSight & OSIRIS-REx), so one *could* argue that NASA has put immediate prioritization on Discovery and New Frontiers over the Mars program, even if its only to support two existing missions and no new starts. (And yes, yes, yes, the 2016 Discovery mission is a Mars mission). @Stephen Marcia Smith, from Space Policy Online, created a very helpful summary of NASA's 2013 budget as proposed from the Obama administration, as marked up by the House, and as marked up by the Senate (PDF available at: http://www.spacepolicyonline.com/pages/images/stories/NASA%20FY2013%20Budget%20Request.pdf) The House set funding at $1.4 billion, with most of the increases going to research, increasing the tempo of Discovery and New Frontiers missions, and a higher funding level for the Mars Next Decade mission, which is now the 2020 rover. The extra funding for Mars included the stopgap of having it flip over to a Europa mission if the cost was not feasible. It is unclear where this stands given NASA's recent announcement. The Senate increased funding to $1.292 billion, with all of that going to the Mars program. Obviously, we prefer the House version of the bill. But we'll have to wait and see what compromise was reached between the two sometime next Spring. Regarding advocating for a Sample Return, if you go back and read my previous comment to @Enzo, you'll see that the Society is essentially advocating for missions that follow the Decadal survey recommendations. The highest priority mission was a Mars Sample Return. The Society (and many others) feels strongly that NASA should not send a major mission to Mars that does not pursue this goal. That said, the ultimate decision will come from the yet-to-be-named Science Definition Team. Human missions could still work into a MSR by picking up an orbiting cache, for example, though these are so far into the future that we don't believe we should delay a sustained robotic campaign that can be started immediately. Your point about technology development is well-taken and important. We'll work that aspect into our outreach efforts. I wrote the President, my Senators and Representative from Florida, all responses were quite positive..stay tuned and keep fingers crossed in 2013 for solid planetary funding, happy holidays, Fllancer2012 in SetiLive, FL! I think we should concentrate on controlling asteroids that cross earths orbit. Capturing one and mineing it and make it a station. Impervious to impacts and shielding from radation. We have to learn how to manipulate these earth crossing asteroid. I think going to mars is a waste of lots of money. At some point we have to deal with astroids. I would like to see an analysis of the recent "send your suggestions" to the Society. We need two lists: the most common "wish" from the members, and the most novel ones (i.e., things that most don't think about). That would help focus lobbying along lines of what the members want. I am tired of scientists and engineers having to beg for scraps from the politicians, who are largely lawyers and seemingly unaware of the fact that space exploration is the single most important priority over the many problems that confront the earth. All these problems can be condensed down to a single obvious fact : there are simply too many people on the earth. I say let that threatening asteroid or neutron star come and wipe out at least 90% of humanity. Most of it is garbage anyway. With what is left, let us build a new society where lawyers are relegated to scrubbing out the latrines, science and knowledge is the number one priority, and push on to other planets. Hopefully, we won't foul up the next planetary habitat as much as we have fouled up this one. @Ian Miller: I'll pass that along!